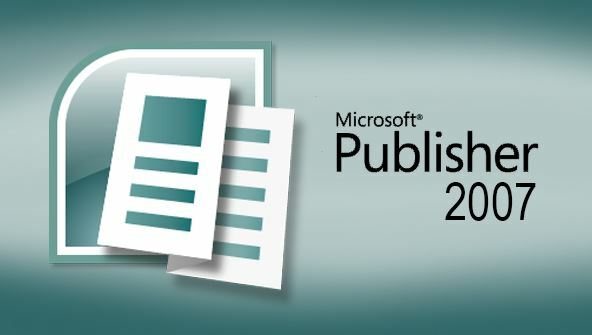 In this hands-on, project-oriented class for beginners, you'll learn how to design, create, and publish a wide variety of stunning documents using Microsoft Publisher 2007. In this hands-on, project-oriented class for beginners, you'll learn how to design, create, and publish a wide variety of stunning documents using Microsoft Publisher 2007—one of the most affordable and comprehensive desktop publishing packages available. You'll find out how Publisher's built-in layouts and templates can help you quickly complete virtually any desktop publishing project. Then you'll see the many ways you can modify those templates in order to create impressive and truly original works of your own. You'll gain valuable experience in designing and publishing newsletters, brochures, and Web sites. If you're new to graphic design, you'll receive plenty of expert guidance in selecting and using images, colors, and layouts. Discover how Microsoft Publisher can take you to levels of design expertise you never dreamed possible without any formal graphic design experience or training! From the moment that you enrol in Microsoft Publisher 2007 Fundamentals you will become an integral part of our learning community. You will experience the perks of classroom studies such as chatting by the water cooler or sharing your opinion on a specific task, all in your own home.